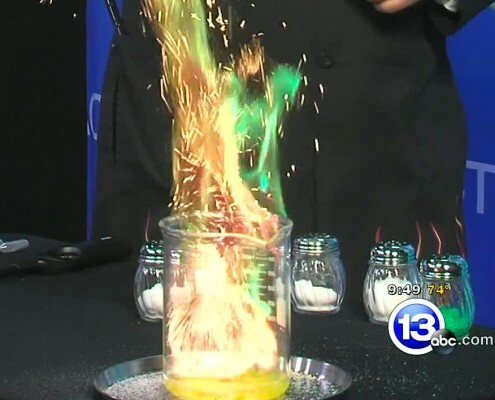 Check out the collection of live TV science experiments. Everything from cow eye dissections to liquid nitrogen ice cream and everything in between. Looking for some science you can do at home or in the classroom? Check these out, you probably have everything you need already. A collection of cool stuff I’ve run across on the web – some science related some not. Check it out. Carl holds a Master’s degree in Physics from Michigan State University and spent his tenure there conducting research on low-temperature superconducting thin films. Over the past 17 years as Exhibits Director at Imagination Station, Carl has managed new exhibit development as well as multi-million dollar renovations at the science center. As Chief Scientist, Carl is responsible for development of science content and training for large-scale in-house demonstrations, one-on-one bench activities as well as weekly live television segments.